A new portal has a hub for SLT and Governors to communicate and collaborate securely and with ease. Office 365 provides many tools to ensure school data is secure and GDPR compliant. The Milestone school is a specialist SEN school in Gloucestershire, with just over 300 pupils aged from reception class up to 16. There are around 200 staff in the school across management, teaching, pastoral and support roles. This outstanding school aims to remove obstacles, enable access to learning and develop life skills and as much independence as possible for each child. Milestone School have been working with Ashraf Kala and the BitNets team for about 3 years. Milestone school was one of the first to adopt the new Microsoft 365 (SharePoint) product in 2013, which was then in it’s infancy. This was the only Cloud based alternative to our existing one (at the time) which was being withdrawn by our 3rd Party supplier. The school migrated all their data from the Old cloud to 365 without help as no one knew enough about Microsoft 365 in 2013 to help us. In 2016 the same company withdrew their Email system due to it’s inability to cater for current requirements. The old email system was on a costly paid subscription which meant limited usage and technological restrictions such as size of mailboxes. In order to use the 365-email facility School had to choose a new domain name and start their email systems from scratch. The existing school server was not future proofed and had been incorrectly specified and configured. The school had imaging issues with the existing setup which did not work with all types of vendors and needed human intervention, so this was time consuming. The old SharePoint system was not managed properly and lacked security controls which would have put the data at risk of being misused. The second IT project was to make the school 365 SharePoint system GDPR compliant, as it hadn’t changed its structure since 2013. This is particularly important as much of the data is sensitive, personal data about the pupils in the school. BitNet Solutions acted in an advisory role to compare the pros and cons of a cloud-based solution leading to migrating emails from an outdated, paid subscription-based platform to Office 365. Now every member of staff has an email address and the system can be extended to the whole school community in the future. Following consultation with BitNet, the school technical team designed a server that was fit for purpose and future proof, ensuring faster and more reliable connectivity with devices on the network. Although not planned and part of the project, Bitnet helped the school implement a near zero-touch deployment system for the Windows Operating System on their desktop and laptop computers. BitNet managed the end-to-end project to migrate existing school emails to Office 365, including purchasing and integrating a new domain name system. A Single Sign On system was implemented so that staff entered their password only once, saving them time and allowing seamless access to emails and documents. Bitnets have been advising role the Senior Management Team and Governors understand GDPR from a data protection perspective and helped them form an action plan to secure the most sensitive data which resided on SharePoint Online. 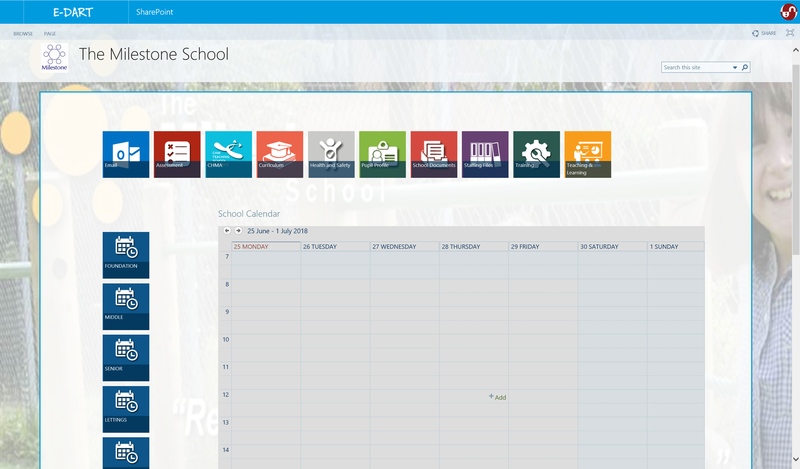 As a result, we worked closely with the school to design and implement a new, intuitive SharePoint portal. 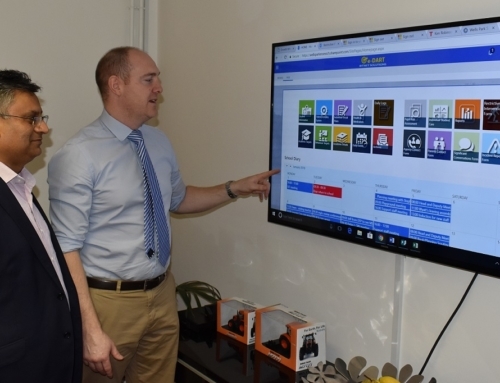 We implemented security controls on the new portal as per the user requirements, meaning both Governors and staff can now use the portal with confidence. 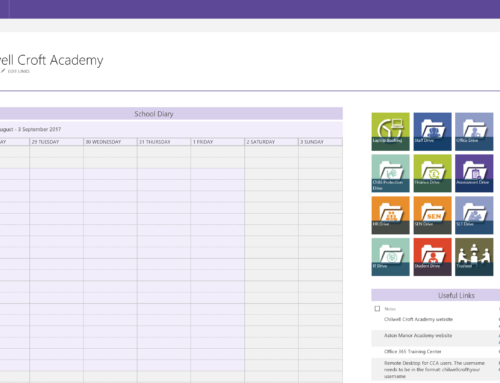 Initially staff used SharePoint to update pupil profile data and pupils’ data regarding behaviour. This data can be accessed outside of the School. Training for the new system was provided by BitNets on an INSET day. The new 365 SharePoint structure is tailored so that only specific members of Staff and Governors have access rights to specific areas & denied access to all other areas. Teachers are currently creating new profiles for new pupils & archiving files of pupils who have left. This will include all pupil related data including Pupil EHCP. A third project is planned to introduce the Bitnets E-DART record and report generating system, which will give staff and management more efficient use of all the data in the system and allow reports to be quickly generated for Staff, Managers and Governors to review. 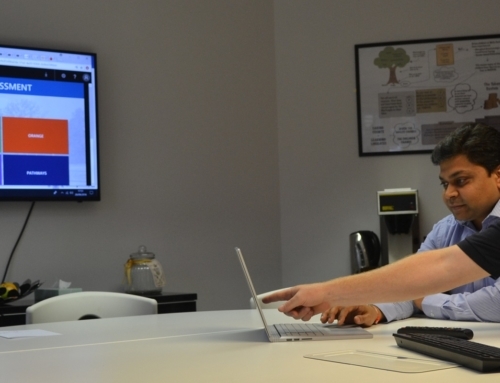 Having stepped up to the challenge of adopting the latest cloud technology, the school has placed itself in a privileged position of being able empower staff and students with the tools necessary to enhance teaching and learning. The school is increasingly utilising Office 365 by migrating data from on-premise servers to the cloud-based storage, with an aim to move all services to Office 365.The next step is to implement better file and data sharing systems in SharePoint. This will replace a lot of the functions of the old SIMS system which the school were still using as part of the LEA heritage, and the use of paper records will be phased out entirely.